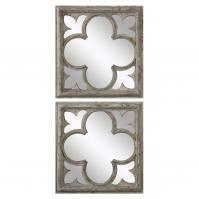 These two small, square mirrors provide a lovely and bold styling for your walls. 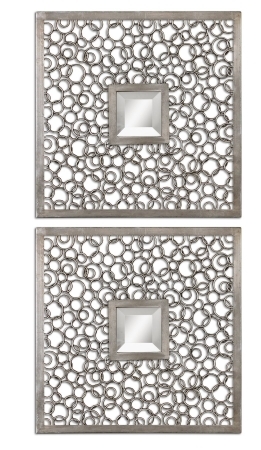 The metal frames and antique silver finish make these pieces great for both traditional and contemporary settings. You can mount the items stacked, side by side or in a variety of patterns or settings. You do not even have to hang these on the same wall or even in the same room, which increases your choices for using them in your wall décor. The mirrors measures 20 inches across and weigh 22 pounds. 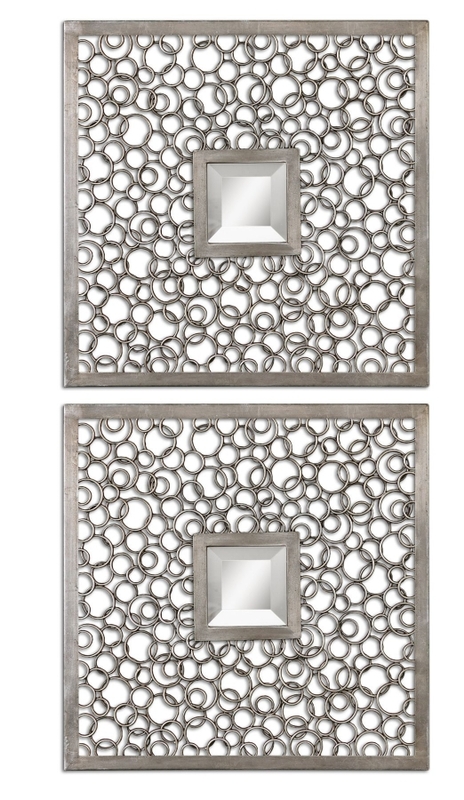 They comes with brackets for mounting on any wall in your home.